Original gouache by David Pratt probably painted circa 1975 for a calendar illustration. 5 1/2 x 6 1/2 inches. A small collection of original naive topographical watercolours painted circa 1890. Each measures about 24 x 14 1/2 inches. Good condition. AN EGYPTIAN PORT. An untitled and unsigned original watercolour. 24 x 15 3/4 inches. Good condition. COLLOSSEUM, ROME. An untitled and unsigned original watercolour. 24 x 14 1/2 inches. Good condition. CHINESE TEMPLE, ROME. An untitled and unsigned original watercolour. 24 x 15 3/4 inches. Good condition. 35847 June, Olive Esme Eve, c.1978. JUNE. Original gouache painting on Daler artist board for World Wildlife Calendar published in 1979. 5 1/4 x 6 1/2 inches. Good condition. 35851 September, Olive Esme Eve, c.1978. SEPTEMBER. Original gouache painting on Daler artist board for World Wildlife Calendar published in 1979. 5 1/4 x 6 1/2 inches. Good condition. 35858 February, Olive Esme Eve, c.1978. WELSH LOVE SPOONS. Original gouache and water colour painting on artist board for World Wildlife Calendar published in 1979. 5 1/4 x 6 1/2 inches. Good condition. This would make a unique Valentine's Day present. 35861 May Olive Esme Eve, c.1978. MOORHEN AND IRIS. Original gouache and water colour painting on artist board for World Wildlife Calendar published in 1979. 5 1/4 x 6 1/2 inches. Good condition. 35843 August Olive Esme Eve, c.1978. OASTHOUSE. Original gouache and water colour painting on artist board for World Wildlife Calendar published in 1979. 5 1/4 x 6 1/2 inches. Good condition. Frances Olive Esme Eve, A.R.C.A. studied at the Croydon College of Art from 1937 – 41, and at the Royal College of Art from 1941 until 1944, later becoming an A.R.C.A. She lived for many years in Seaford, East Sussex. A selection of restrike prints. Restrike prints are taken from the original engraved plates but at second generation prints made after the original run. Although the original impressions would be more desirable very often restricts are very often the only prints from the original plates available. MORNING. COTTAGERS GOING OUT HAYMAKING. Hand coloured restrike from the old plate. 20 x 15 inches. Good condition. THE SAILORS FAREWELL. Painted by J. H. Ramberg. Engraved by H. Hudson. Hand coloured restrike from the old plate. 20 x 15 1/4 inches. Good condition. SATURDAY EVENING. 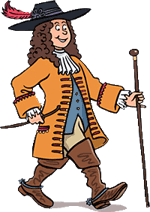 THE HUSBANDMAN'S RETURN FROM LABOUR. Painted by W. R. Bigg / Engraved by W. Nutter. Hand coloured restrike from the old plate. 20 x 16 1/2 inches. Good condition. SATURDAY EVENING. 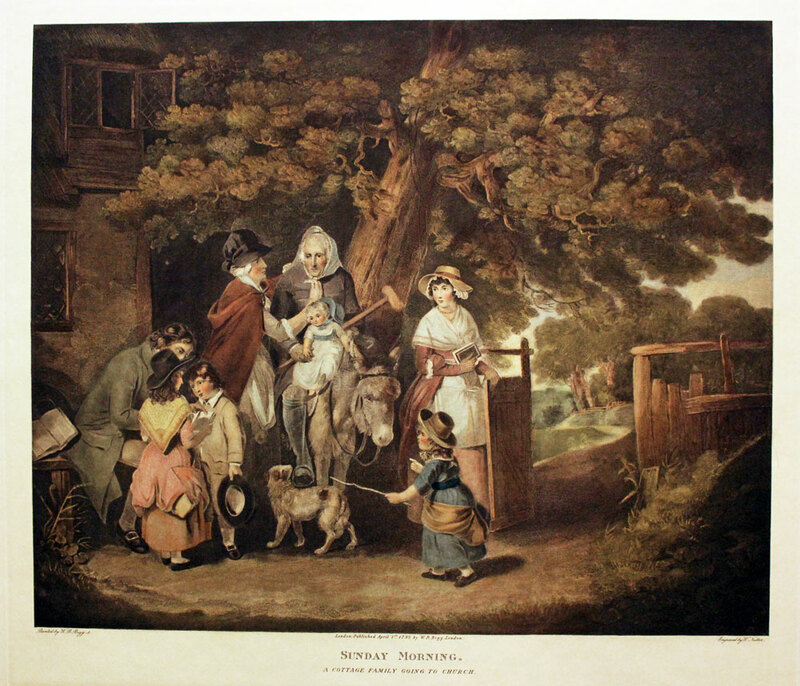 A COTTAGE FAMILY GOING TO CHURCH. 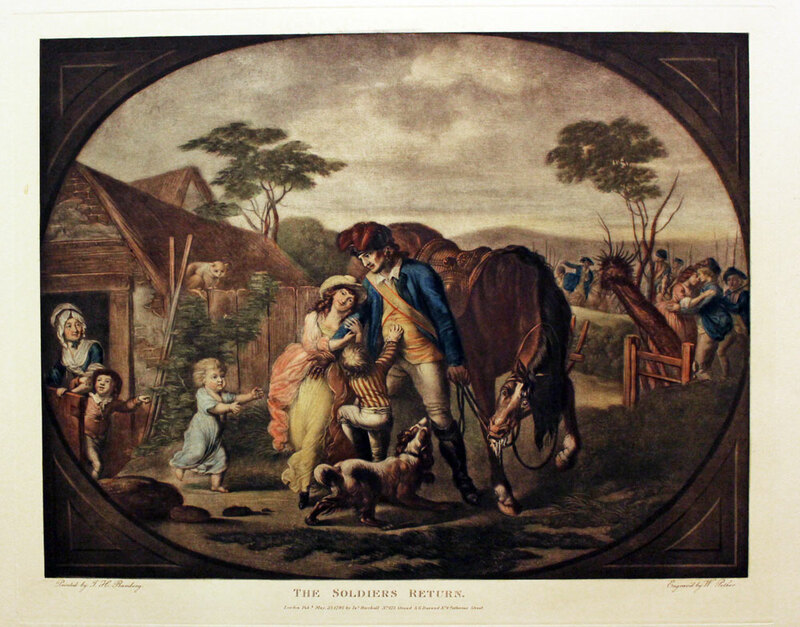 Painted by W. R. Bigg / Engraved by W. Nutter. Hand coloured restrike from the old plate. 19 3/4 x 16 1/2 inches. Good condition. THE SOLDIERS RETURN. Painted by Johann Heinrich Ramberg/ Engraved by W. Pether. Hand coloured restrike from the old plate first published in 1785. 20 x 15 1/2 inches. Good condition. NO. XV. 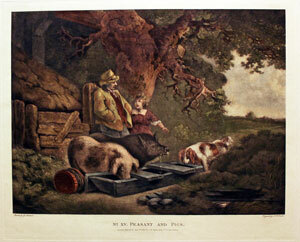 PEASANT AND PIGS. 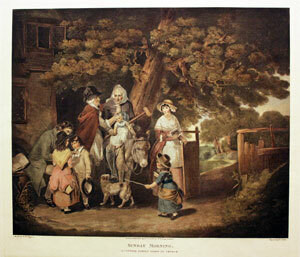 Painted by George Morland / Engraved by J. R. Smith. Hand coloured restrike from the old plate first published in 1803. 20 x 15 inches. Small indentation mark in the bottom blank border well away from the image. Otherwise good condition.